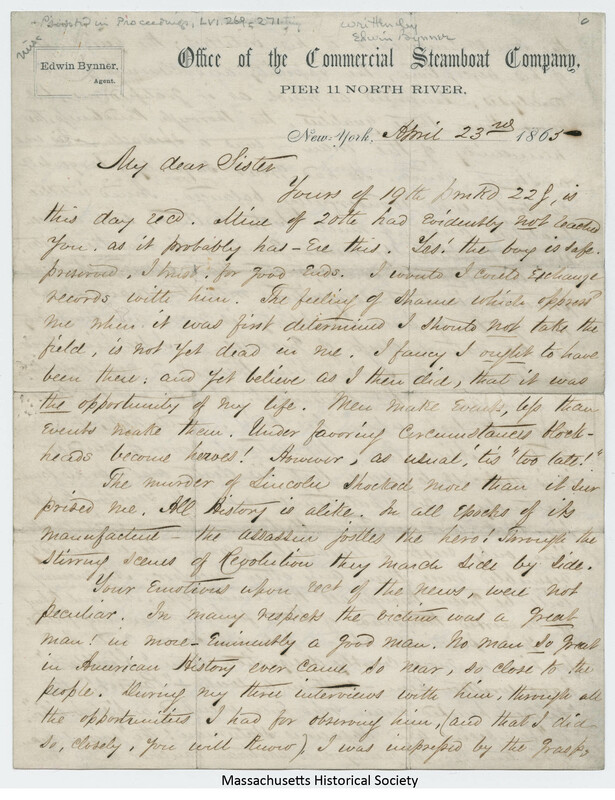 In this letter written by Edwin Bynner, an agent of the Commercial Steam Boat Company in New York, to his sister, Bynner describes his reaction and thoughts about Abraham Lincoln and the assassination. Bynner comments that he is more shocked than surprised at the assassination and recalls the greatness and humanity of Abraham Lincoln. Bynner states that during his three interactions with Lincoln he observed firsthand Lincoln's intellect and perceptiveness. Bynner was impressed with Lincoln's strong mind.